I had an apparently good burn of a DL DVD ( verbatim) from a dvd image, but an hour into the movie, it froze. this was duplicated on a couple different players as well as on the computer. THE image plays ok in that area, so it is a bad burn. My concern is not the burn, as I know it can happen once in a while, but how is it that VERIFY succeeded and it was still a bad burn? 1) burn said succeeded 2) verify said succeeded, 3) disc played ok until a certain area was encountered in the movie. Since I was going burn many discs and distribute them , I wanted to be sure they are good burns. Is there some good VERIFY parameters ( or write parameters) to ensure that the burn is in fact good? 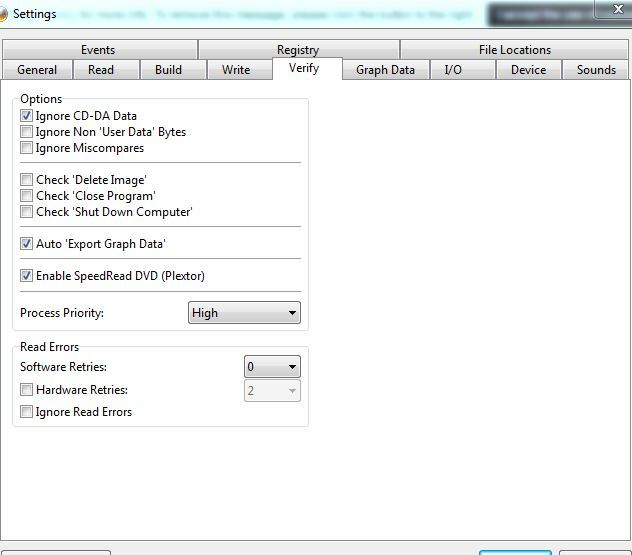 If the verify operation succeeds, it shows the disc was read correctly and in full on the drive that burnt it at that moment in time. It doesn't mean it'll be perfectly readable in all drives. To get an idea of the actual quality of the burn, you'd need to PIPO scan it using appropriate hardware. Do not mess with any of the options, they will not help here. What I don't understand is something I've had happen a few times. A burn will complete without errors, it will Verify without errors, yet the disc is unreadable. You insert it into a player and it won't recognize. And when I insert it back into an optical drive to try and check the disc, the optical drive light flashes forever, meaning the disc is not readable. I've never understood that one. Verify wouldn't pass if the disc was unreadable. That's not to say the drive couldn't burn, eject, reinsert, recognise the disc and successfully verify it, eject, reinsert and then fail to recognise the disc. If verify passes, at that specific moment in time, it was fine. It just means it's fluke if your burner will see the disc or not. If it worked the first time, chances are it'll eventually recognise it again if you eject + reinsert enough times. My empirical evidence says otherwise. I know it makes no sense, but none of my 5 DVD players would recognize these discs and all 3 of my optical discs, 2 SATA's and one USB, would flash their lights forever attempting to recognize them. It sounds impossible, it makes no logical sense, but it was never said that the improbable can't happen. I've had it happen to me 3 times. ImgBurn is always set to Eject after writing, so it should have "cleared" the drive of anything after writing. Now, I think all these discs were DVD+RW's. It's possible, and really the only logical solution, that they wrote fine, were readable on Verify, but on eject after Verify, they "died" because they're random access memory and could have been "destroyed" with each read of sectors from it. Reads shouldn't affect writing, but it's the only logical explanation. The discs were close to dying and the laser power, though set to read, was hot enough that it destroyed the sector(s) necessary to recognize the disc as a loadable disc. I did say it was readable at that *moment in time*. If you'd fired up Explorer and tried to browse the disc straight after it had verified (without ejecting / reinserting the disc again), the files should have shown up. It's impossible to predict other 'weird goings on' related to media being used. Ah, yes, you did. I forgot that. hi, i have problems with burn. The program hangs tightly when writing,the drive is constantly lit diode. Took from the seller two banks of 50 pieces BD-R 50gb one was recorded without problems, the second is hung, the Bida problem with the buffer, put other programs wrote, then tried Img also wrote, then again such trouble. Tried in different systems both on XP and on W7. Even has tried on clean. When I wrote the first Bank in the settings nothing changed and it was written all at once and quickly.Why so long not update and fix bugs and bugs? I ordered 50gb drives again recently. Try one and if not move permanently to another program,if it is to wag your nerves I will change the BD drive. 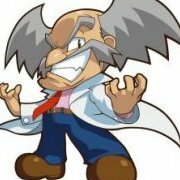 I 21:31:56 ImgBurn Version 2.5.8.0 started! I 21:31:57 Found 1 DVD±RW/RAM and 1 BD-RE XL! I 21:33:19 Source File Application Identifier: IMGBURN V2.5.8.0 - THE ULTIMATE IMAGE BURNER! Maybe that drive doesn't support that disc. Use quality blanks, not the cheap ritek crap you are now, like verbatim datalife plus. That doesn't negate the fact that you're using cheap crappy blanks. Just because it burns the disc, doesn't mean it did a good job at it and that the end result will be readable.